Easy living just minutes to Downtown Gig Harbor awaits with this stunning top floor condo! 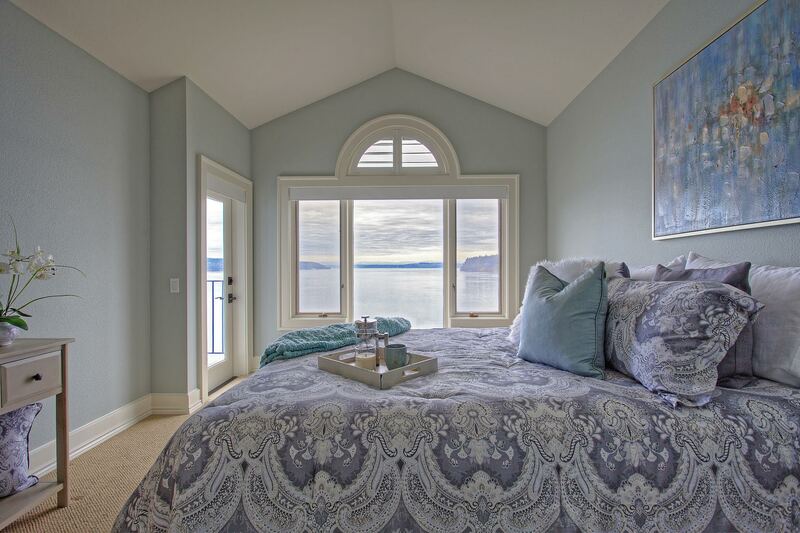 Featuring incredible views of the harbor, the Puget Sound, and Mt. Rainier, this vacation-worthy retreat is brimming with ultimate comfort and style straight from the pages of an interior design magazine. A spacious 1,754-square-foot layout includes 2 bedrooms, 2 baths, a gourmet kitchen, and living spaces that are an entertainer’s dream, all on one convenient level without stairs! Located at 7221 Soundview Dr 202 Gig Harbor WA 98335 and wonderfully close to some of downtown’s best offerings, this gem is listed for $1,125,000. Offering a front row seat to one of the best shows in the region, this pristine condo provides opportunity to take in picturesque views at almost even turn. 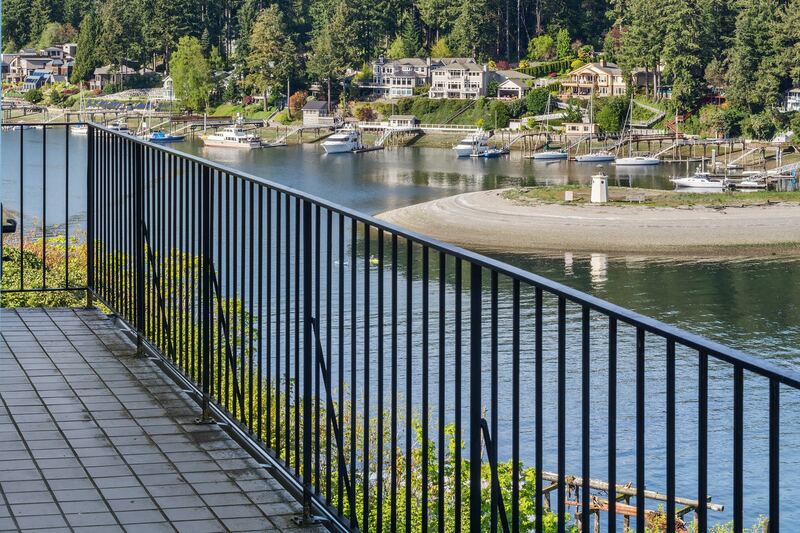 Generous deck space showcases the perfect perch to watch sailboats, yachts, boats, and ferries meander on by, while the same views can be enjoyed throughout the rest of the residence. Imagine starting your day with a hot cup of coffee while you take in the view of glorious sunrises over majestic Mt. Rainier! In the main living room, natural light cascades in through large windows, while vaulted ceilings add to the open elegance of the scene. A fireplace featuring handsome stone and wood elements anchors this space, promising cozy evening snuggled up by a roaring fire. The open-concept layout effortlessly flows into the dining room and open kitchen, where you’ll find everything you need to host sophisticated dinner parties, special occasions, and holiday get-togethers. The dining room has plenty of space for a full-sized dining table, ensuring you can host a crowd, and the kitchen offers potential for a dining nook while also providing bar-style counter seating. No expense has been spared in this home’s gourmet kitchen, and here you’ll discover top-of-the-line appliances, gorgeous cabinetry, shimmering countertops, and generous space for both storing kitchen essentials and whipping up delicious meals. Sumptuous and secluded, this home’s 2 bedrooms offer rejuvenation. 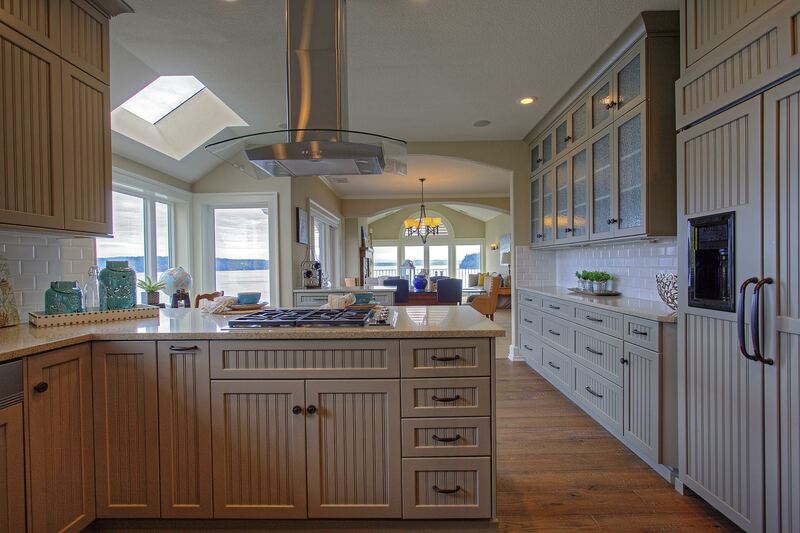 Each oasis shows off something unique, like vaulted ceilings and double doors that swing open to bring you that much closer to Gig Harbor’s exquisite beauty. This residence’s 2 baths both offer spa-like amenities as well—find contemporary finishes and premium indulgences, like a fabulous soaking tub that’s ready for luxurious bubble baths! 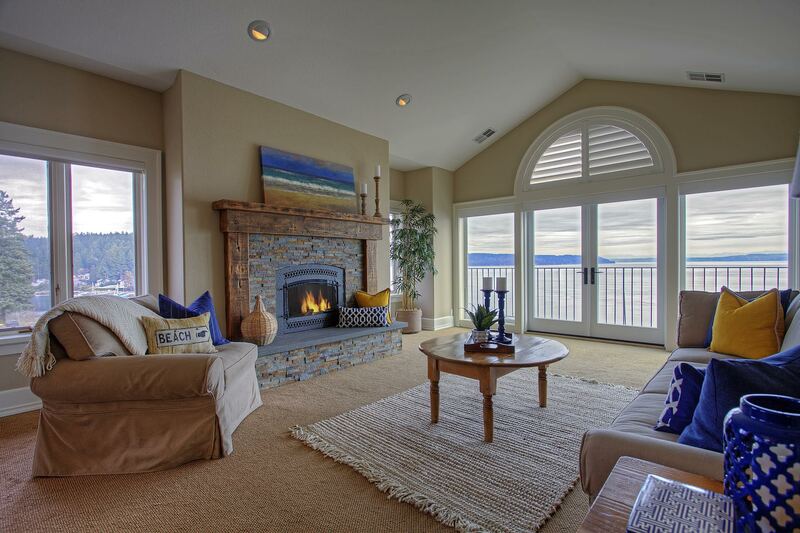 At 7221 Soundview Dr 202 Gig Harbor WA 98335, you’re nestled in a truly prime Gig Harbor location. 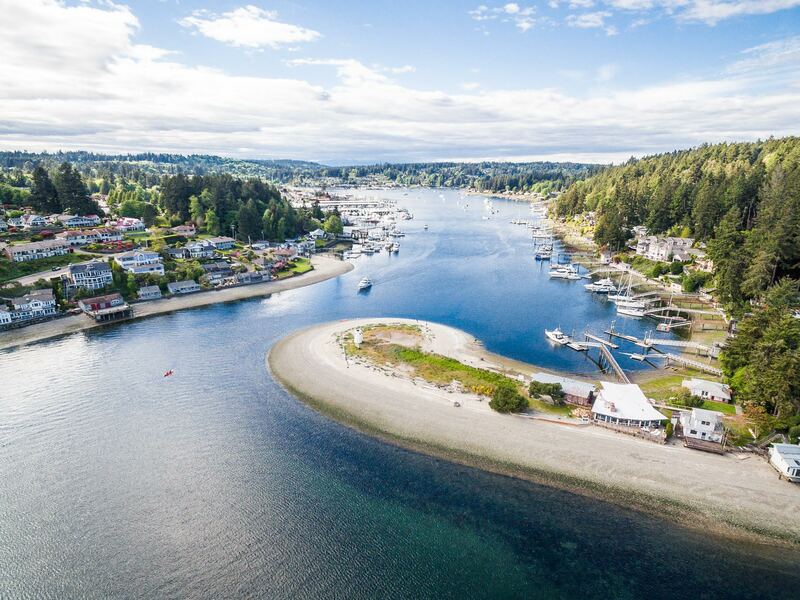 You’ll find the best that Downtown Gig Harbor has to offer just minutes from home, and popular spots like 7 Seas Brewing, Brix 25, Green Turtle, Tide’s Tavern, Mizu Japanese Steak House, Il Lucano Ristorante Italiano, and so much more await merely 0.3 miles away. There are also several shops, services, parks, and even bus lines nearby, making it easy to take advantage of the area! Locals also love staying active through kayaking, paddleboarding, boating, and other water sports. Plus, Highway 16 is a short 2-minute drive from home, ensuring that it’s easy to get around the rest of Gig Harbor and beyond.